MSN Sidepanels Ad spec - Nine Entertainment Co.
Sidepanels enable advertisers to reach audiences with unrivaled interactivity and engagement. This ad units can offer the full range of creative executions – from eye-popping animation, to video, dynamic data, interactive games, and more. IMPORTANT: Click here to open the most up to date specs on the Microsoft Creative specs page - from there, you can click on the "MSN Responsive Skin" spec link under the "MSN Display" section which includes full technical specs for Sidepanels. It is vital that you download the full spec sheet, the specs included below are purely for quick-reference. 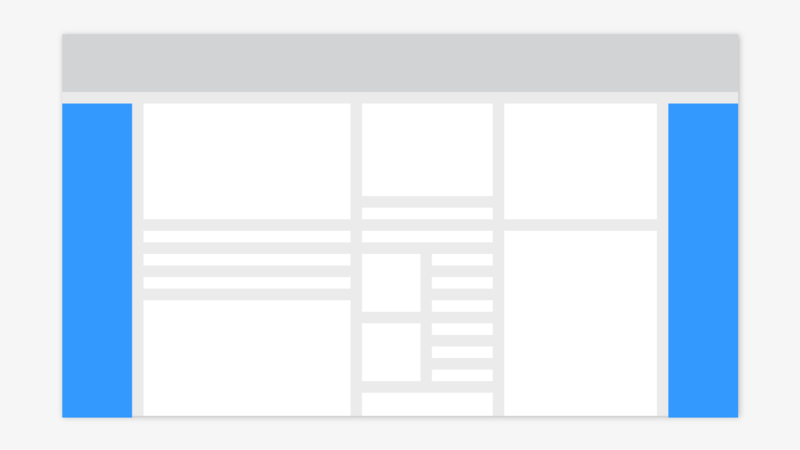 Sidepanels should launch from a 1x1 ad call (both the left and right panels expand simultaneously from this). Sidepanels can also be "sticky" so they adhere to the header of the page as the user scrolls down. Key messaging should presented in the top right 125x600 of the left panel and top left 125x600 of the right panel.